A sucker punch from someone who knows how to handle themselves is one of the lowest social acts that a person can undertake. Not only is it cowardly as the recipient has no opportunity to defend themselves properly, a sucker punch doesn’t demonstrate anything considerable about your physical prowess, only that you can hit a target. The video below is a famous one. It shows one of the most cowardly acts ever committed in a boxing ring. 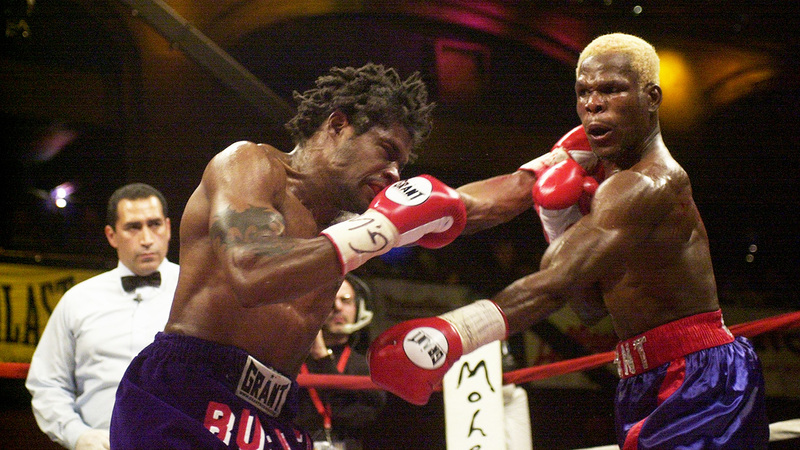 The fight between James Butler and Richard “The Alien” Grant was held in New York in November 2001, partially in aid of the September 11 tragedy. It was the second time that the two had matched up against each other and prior to this Butler had only lost to Grant in 1997 and Steven Ottke two months prior to the fight. Grant was awarded the fight by unanimous decision after ten gruelling rounds. But after the gloves were off and the presentation was over, Grant and Butler went to embrace. But at the last second, Butler changed his hands to a fist and landed an almighty clout right on Grant’s jaw. Grant was instantly knocked out and the ring exploded with activity. Butler was dragged away, cameramen swarmed both fighters and officials took immediate action separating the men and trying to ascertain what the hell had just happened. The commentary team capture the moment perfectly. They totally and utterly condemn the cowardly act labelling it what it was: common assault. The police arrive and take Butler into custody. Grant turned out to be alright, not requiring a stretcher to leave the arena. Butler was given 4 months jail time for the assault but remarkably was not banned for life from boxing as the commentators suggest. He returned to the sport in 2004 for another four bouts winning at 50%. His return to the ring was short-lived, however, as Butler was charged and convicted for the murder of Sam Kellerman with a hammer. See the footage of Grant’s sucker punch below.